The Institute of Digital Marketing gives you the best marketing courses in Australia. IDM Australia offers digital marketing short courses online. The Institute of Digital Marketing also offers a Professional Diploma in Digital Marketing in Sydney, Melbourne, Brisbane, Perth and Adelaide. The Institute of Digital Marketing also offers the Professional Diploma in Digital Marketing, or Social Media, Mobile Marketing or Search Marketing. IDM Australia also offer online Postgraduate Digital Marketing education: Postgraduate Diploma and a Masters in Digital Marketing, online. 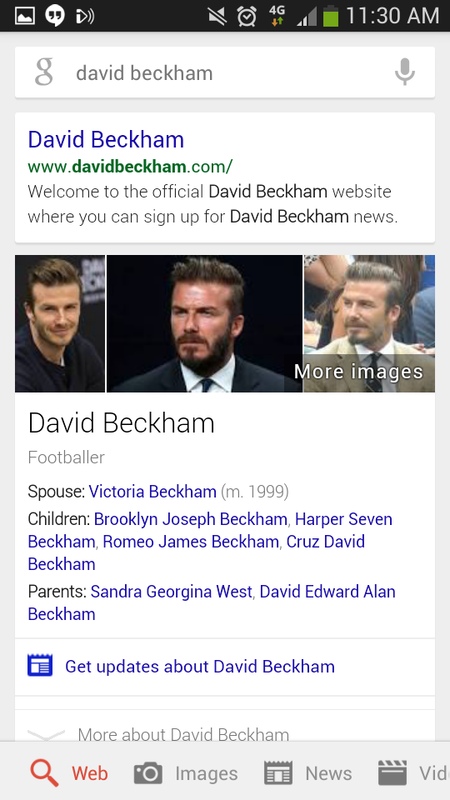 How can marketers benefit from mobile search? There are major differences between the results that search engines deliver on phones and computers. How can marketers structure their search strategy to maximise results? Figures from 2013 found that nearly 20% of the average adult American’s daily media consumption was on mobile devices, a trend that is only accelerating. Echoing this, search queries on mobile devices grew five-fold in the last two years, according to Google. On one hand, this is due to the expanding number of smartphones and the greater time spent by users on these devices. On the other hand, given the small screen size and keyboards of phones, it is a lot simpler to search (either by text or voice), rather than type a long, complex URL into the address bar when you are on the go. The rise of mobile is consequently changing the search landscape, with an estimated 26.7% of Google’s ad revenues expected to come from mobile search in 2014. The results that search engines deliver on phones and computers vary dramatically. Our own data found that 36% of web pages (URLs) shown in mobile Google search results are different to those that appear for the same searches carried out on a desktop or laptop. Nearly a quarter (23%) were from completely different websites (domains). This reflects Google’s increasing focus on the context and intent behind queries, which vary dramatically from device to device and are also strongly related to local aspects. Given these factors, how should marketers approach their overall search strategy? Do they look to keep content the same or vary it, according to device? Based on our experience, here are six key considerations to keep in mind. And for more on this topic, download the Econsultancy Mobile and Local SEO Best Practice Guide or read our post on 30+ compelling mobile search statistics. As I’ve said the intent behind a search query is often radically different between devices. If you search for pizza on your laptop, you are more likely to be at home looking to order a delivery. 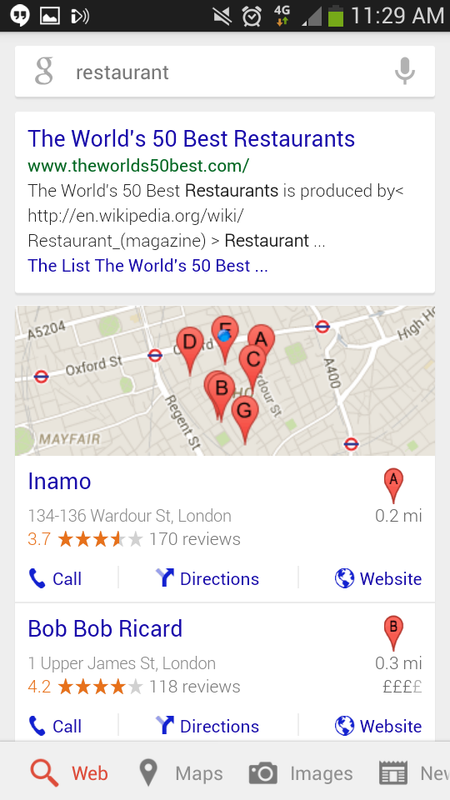 On mobile you are probably on the move, and hence searching for a restaurant nearby (which is why the factor ‘local’ is much more important when performing mobile searches). This is also why mobile search is particularly strong in specific sectors. For example, Google reports that 30% of all restaurant searches and 25% of all film searches are performed on a mobile device. 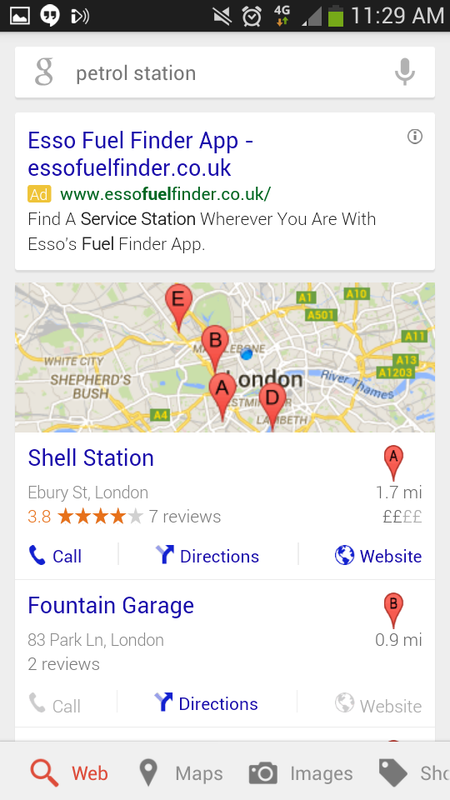 Additionally a mobile search can be more time-critical and less speculative – typing ‘petrol station’ could well mean that your car is running low and you need one now, rather than just researching a future purchase. People read less,and want information faster when accessing content on their mobile devices. Screens are smaller, and searchers are usually on the move, so they don’t have the time or inclination to read long-form content. Attention spans are shorter on smartphones, meaning bounce rates are higher. Essentially people want information quickly and immediately, rather than having to scroll through pages of results. Answers have to be briefer, relevant and easily understandable, otherwise they simply will not be read. As our results show, mobile results vary from other devices when it comes to Google searches. This is due to better understanding of the context, particularly as Google has additional information about the mobile searcher, such as exact location, to help it provide more relevant results. With the form factor, particularly screen size, being different on a mobile device, Google displays results in a simpler way, using features such as Knowledge Graph to deliver answers in a straightforward, easily readable manner. 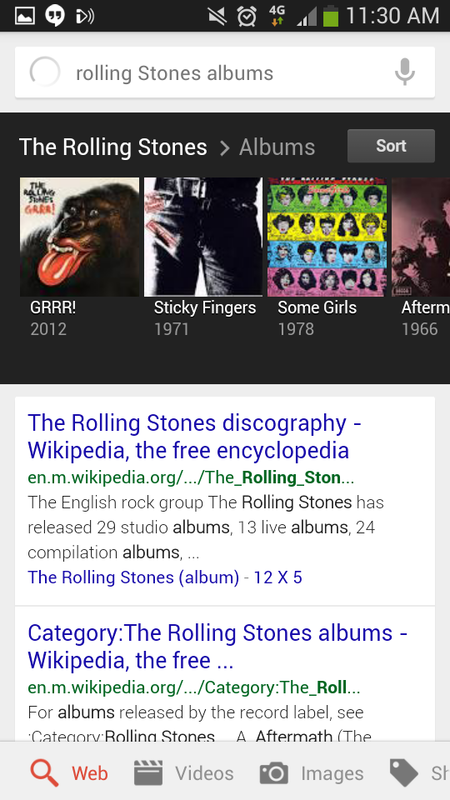 Hence, organic results are sometimes not visible without scrolling because the Knowledge Graph is delivered above them due to space constraints. Figures from comScore reveal that the time spent consuming rich media (such as video) on mobile devices is actually higher than on the desktop. This could well be down to the fact that it is easier to listen or watch rich media than pure text while on the move. Consequently marketers needs to factor this into their planning, ensuring that they offer a range of content types, optimised for different devices. The factors that correlate with high rankings for mobile search are different to those on other devices. A Searchmetrics study indicates that mobile search results on Google.com tend to include pages with fewer backlinks from other sites than comparable results for the same searches on desktop and laptop. This makes sense because mobile content contains fewer ad hoc links, as mobile users are much less likely to link to pages, preferring to share/like through social media. Additionally, mobile results often feature shorter content and also tend to display pages with a smaller file size on average than those delivered on desktop or laptop. This could be because smaller pages will be quicker to download on a mobile and use less of a phone subscriber’s data allowance. Marketers need to be aware of these differences and optimise content accordingly. Through techniques such as responsive design and HTML5, many organisations are creating web pages that change to fit different screen sizes and device interfaces. The next step in this process is going to be responsive content. Take the example of a retailer – its traditional website should be optimised for desktop and laptop searches, with long-form, text-based content that covers all potential areas of interest to searchers. For smartphone searchers, content should be condensed to what is relevant to them, perhaps using video rather than text, with the option to click to access the fuller desktop style article. We now live in a mobile-first world, which has a significant impact on how brands engage with consumers when it comes to search. Marketers therefore need to understand how ranking factors vary between smartphone, tablet and desktop/laptop computer and put in place a strategy that delivers optimised content, whatever device the search is carried out on.